Okay, I'm jumping on the bandwagon and joining A Lovely Year of Finishes. I have so many WIPs that I need to finish, and I have so many other projects I want to work on as well. One thing I want to do this year is try and sew things besides quilts - especially bags. I'm the geek that has a spreadsheet with a list of my UFOs and what I have left to do to finish them. That list contains more than 20 quilts! Yikes!!! Picking one for this month is hard because I have a couple of quilts that I want to finish this month - my Madrona Road challenge quilt and another secret one. I can't (or don't want) to show them this month though. So, I'm going to pledge that I'm going to make a drawstring bag to put my Dazzling Diamonds quilt in for when I ship it off to QuiltCon at the beginning of February. Yup, that's right. 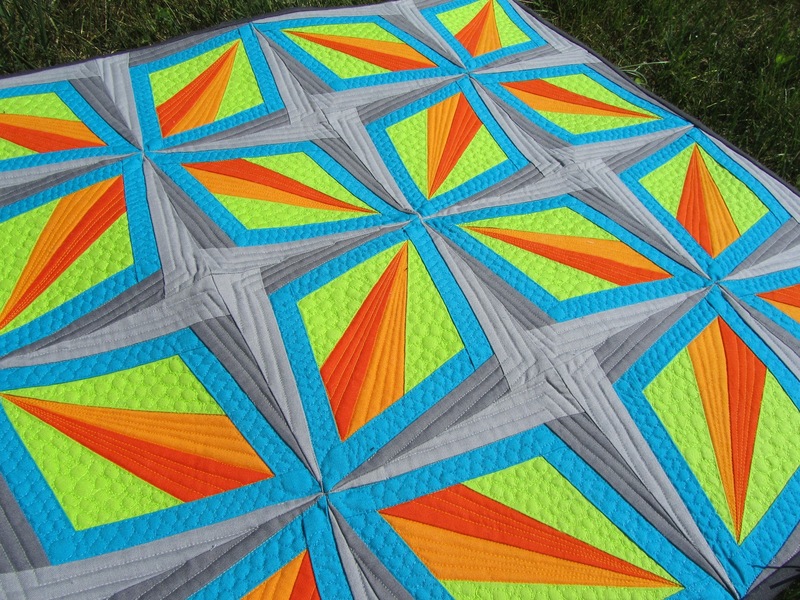 My Dazzling Diamonds quilt was accepted into QuiltCon. When I ship the quilt off, it needs to be in a drawstring bag. So, that's what I'm pledging to make for January. Awesome! congratulations! I can't wait to hear all about it after you return from QuiltCon! Congrats! It is an awesome quilt!!! Yay!! How exciting - congratulations Jen!